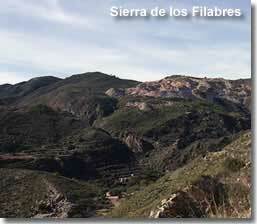 The Sierra Filabres... a leading destination in the mountains of Almeria for rural living and inland property. A surreal landscape of dramatic hills and valleys, rustic villages, abandoned hamlets and deserted cortijos. The lower hills and valleys are graced with almond and olive trees, higher up the mountains the countryside switches to woodlands, having been reforested, the area is abundant with holm oaks and pine trees creating an excellent habitat for bird species. Seasonal climate variations flaunt changes in scenery and the winter months will often see snow on the mountain roads and peaks. 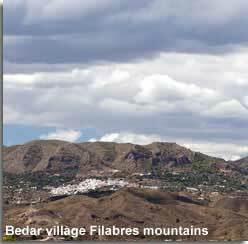 The Sierra de los Filabres is the largest and most central mountain range in the province of Almeria and is part of a chain of mountains extending eastwards from Granada province. 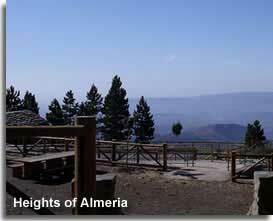 In Almeria a large section of the mountains are incorporated within the Valle de Almanzora region and thus include the Almanzora villages of Alcontar, Bacares, Bayarque, Seron, Sierro, Sufli, Macael, Laroya, Chercos, Cobdar, Lijar and Albanchez. The south western limits of the range reach to the villages of Gergal and Nacimiento, and in the south east of the range, tucked away on the hillsides, are the whitewashed villages of Olula de Castro, Castro de Filabres, Velefique, Senes, Tahal, Benizalon, Uleila del Campo, Lubrin and Bedar. 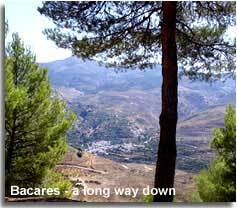 Bacares has a central location, nestled at the bottom of a valley between the Calar Alto and Tetica peaks. The villages of Sierra de los Filabres are becoming sought after locations for inland property, offering a sound choice for those wishing to holiday in or relocate to the real Spain, ideally situated just a short drive from the coast to make the best of the mountains and the Mediterranean. The Calar Alto, the ranges highest peak at over 2,000m above sea level, houses the Calar Alto Observatory, holding significant astronomical importance in the region. It has to be noted that the heights of the mountains and the clear night skies afford tremendous possibilities for astronomers, and Almeria is a well received area for such observations. Also above 2000m are the peaks of the Tetica de Bacares and the Calar Gallinero. La Tetica de Bacares is recognised by the prominent communications antenna rising from the mountain top, the walking trail between the Calar Alto and La Tetica provides far reaching vistas from either pinnacle. 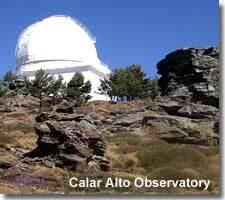 Calar Alto Observatory website, in English, with further information on the importance of the observatory. 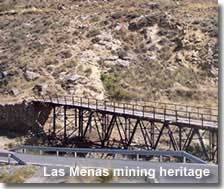 This route, planned by myself, incorporates the highest of the mountain peaks and crosses a section of the mountain range from the village of Gergal in the south to the village of Seron in the northern foothills, it also includes the Merendera recreational area, the picturesque village of Bacares and the abandoned mining village of Las Menas. Taken on a sunny clear day, late in September, this route was the biggest mountain challenge for me yet. With my fear of heights, the unknown (to me) mountain road ascent to the Calar Alto peak really put my courage to the test. I found the tarmac roads to be of good quality, with many strategic roadside barriers in place, and the roadside slopes on the lower section of the climb to be quite gradual, though I have to say that towards the summit the route is extremely snake like and the drops by the side of the road are much more sheer, and I have to admit that along this section I was pretty scared. For those who are not troubled by the height factor, and there were plenty of cars and coaches en route that obviously didn't have my concerns, then this drive really does offer some absolutely incredible views. I can confirm that I did complete the drive to the summit, and besides a great sense of achievement, I was in complete awe of the mountainous landscapes and the heights that I had reached. Furthermore I did then continue the journey, full of scenic discoveries, all the way across to Seron, which, height wise, aside from a winding cliff road down to Bacares was a complete doddle compared to the Calar Alto ascent! 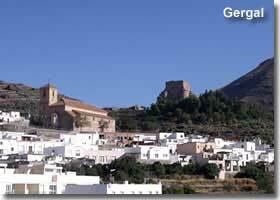 The pretty village of Gergal is located in the southern foothills of the Sierra Filabres overlooked by the Calar Alto peak and observatory, and is reached from junction 362 of the A-92. This driving route takes advantages of the A-339 Gergal to Seron main road that traverses the mountains. The first section of the journey follows the road up to the Calar Alto, as the altitude increases the views become even more astounding, and include vistas to the peaks of the Sierra Nevada. 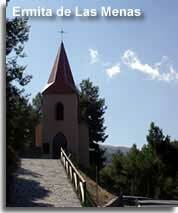 The Gergal to Calar Alto ascent also offers a difficult and demanding, yet I am sure exhilarating, route for cyclists. Just before reaching Calar Alto, the Merendera, a mountainside recreational area, essentially offers picnic tables and benches under the shade of the woodland trees in what I suspect is the highest picnic area in Almeria, the views are spectacular and the panoramas from Mirador Merendera, 500m away along a mountainside track, are truly out of this world. 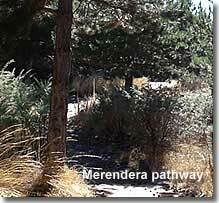 The Fuente La Merendera, the natural water fountain, is located by the side of the road across from the picnic area, a further ten minute uphill drive then arrives at the signposted turn off to the observatory on the highest point of the mountain. Returning to the A-339 from the observatory offers signposted access to the Tetica peak, the ruins of the abandoned mountain hamlets of Carrascos and Barrancon, and a trail for the Collado de el Conde peak at 1870m. Along this stretch of the road there is a second water fountain, the Fuente Venta Louisa, the Tetica peak can be easily viewed between the between the rows of pine trees, and the valley village of Bacares, the next port of call, is signposted along the ALP-9017. Bacares, situated in the valley at the foot of the Tetica de Bacares is a long, long way back down the mountain, though its altitude is just over 1200m above sea level, this was the second time in one day that I braved these ambiguous mountain roads. Again the views are well worth the detour and the village makes an idea stop off point for refreshments before continuing the day trip. Doubling back to the A-339 and continuing in the direction of Seron offers a further deviation from this main road, the abandoned mining village of Las Menas, by way of a right hand turn onto the AL-5406 and a short yet steep descent to the village. Anyone with an appreciation of recent history, beautiful landscapes and rural settings cannot fail to be impressed by this destination, I am sincerely inspired at this point of my journey. 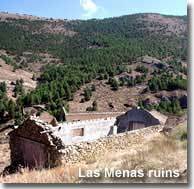 Las Menas was home to one of the last remaining iron mines in Almeria province, it closed in 1968, and with it came the end of a long history of iron extraction dating back to the end of the 19th century. The closure of the mines lead to the complete depletion of the village population, which had been the central base and home to the mine workers. On entry to the village there is a roadside information board and map detailing the history of each of the ruined buildings such as the headquarters of the Civil Guard, the bullring and the hospital. The remains of the mine openings and evidence of the transportation systems such as cables, railroads, loading platforms and piers can still be seen today as reminders of the important heritage of the region. Set within stunning hillside scenery, the village, which is now a rural tourist attraction, is also home to a camping area and the restored Ermita Las Menas chapel. A signposted walking trail follows a route around the village ruins and is perhaps one of the best ways to enjoy the area. 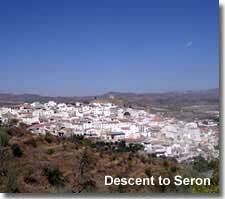 The final leg of this journey gradually descends the mountain range to the pretty village of Seron in the Filabres foothills and affords views to the Almanzora valley and beyond. 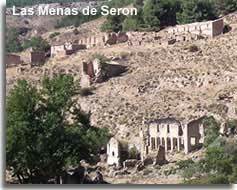 Seron can be reached by returning to the A-339 or by continuing along the road through Las Menas and meeting the A-339 a little further along. 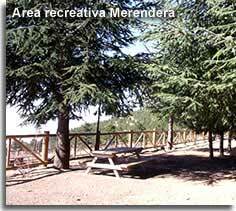 Approximately ten minutes drive outside of Seron village, yet still on the A-339, is the Area Recreativa Jordana, a second hillside picnic area, this time in the northern foothills, offering views over the valley. 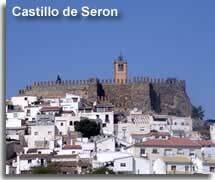 Seron itself is recognised by its hilltop castle, the Castillo de Seron, and its prominent clock tower, the Torre del Reloj, and is known for its quality jamon serrano, a dry-cured ham. There are several more roads, routes and possible itineraries within the Sierra de los Filabres including many traditional and rural villages. A large section of the mountain range is included within the boundaries of the Almanzora region and further Filabres discoveries are detailed in the Valle de Almanzora page, the links to which are provided at the end of this page. 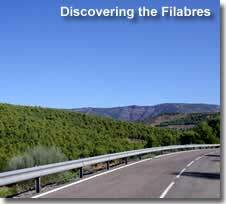 The towns and villages of the Filabres, each deserving their own dedicated page, will be covered separately.